Hey guys! 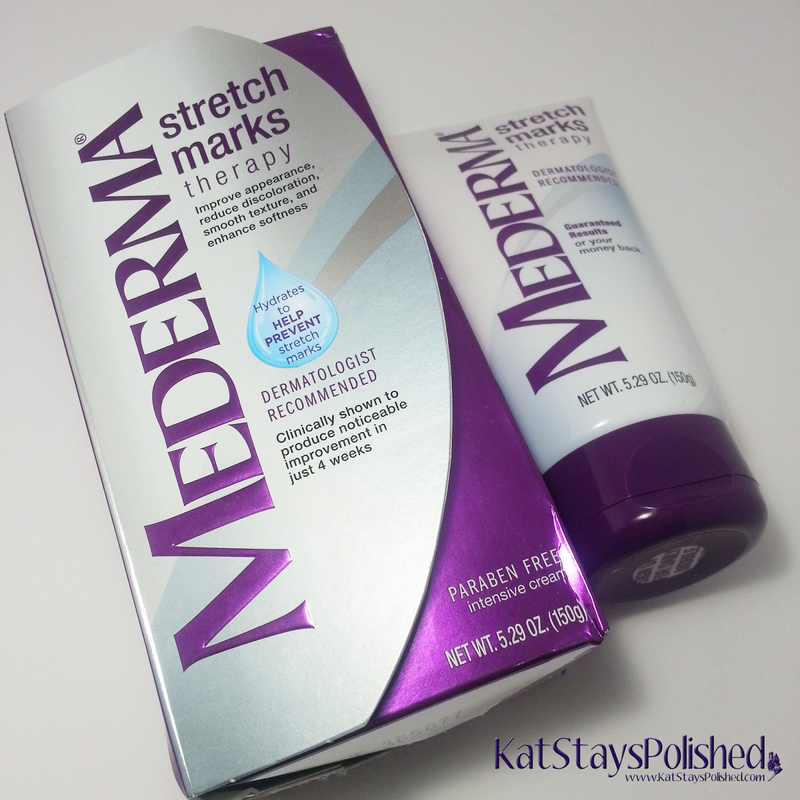 Time to talk about the possibility of pregnancy stretch marks! They are pretty much avoidable but there are so many products and lotions/creams out there to help reduce visibility. One thing that I read recently was that cocoa butter actually makes your skin so soft that it does less to prevent stretch marks than help and reduce. 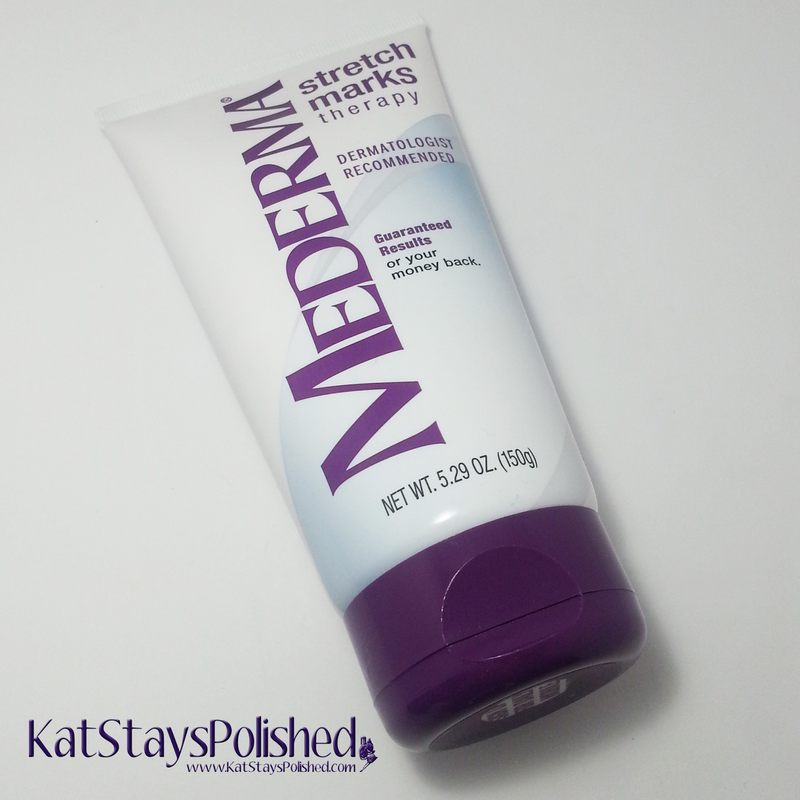 Today I'll be talking about my first thoughts on the Mederma Stretch Marks Therapy product. I've been using it as a preventative to try and reduce visibility of any stretch marks I may get. I'll be using this throughout my entire pregnancy and will be back with progress pictures. Mederma's 3 key ingredients in the Stretch Marks Therapy formula are: Cepalin, a proprietary botanical extract | hyaluronic acid | centella asiatica plant extract. I am in the middle of 21 weeks now and started using this product at about 16-17 weeks. I would use this twice a day, as directed. So far, I haven't seen any stretch marks appear, but I'm going to soon ask hubby to really help me look since it's getting harder and harder for me to see anything below my belly, haha! The formula for this is much lighter than cocoa butter lotions and it absorbs very quickly. It's thin so it's easy to rub in without feeling like you're pulling your skin along with it. There is a very fresh, fruity scent to it...that's the best I can describe it. I only need about a dime sized amount to cover the area around my belly. I'm sure that will change once I get bigger and bigger. I know a lot of you are moms out there so tell me about your stretch marks! Did you have a lot? None at all? What worked for you? Stay tuned in another 4-5 weeks where I'll either show you visible stretch marks OR very faint marks. Nice initial first impressions of this! The company sold us an expired tube and when i went to returned them, they said i myself am returning it after expiration and i'm the one responsible for it. What a shame! You can apply Mederma initially for two times a day then you can continue once a daily after two months.